This holiday season, Veritiv partnered with the American Red Cross to send messages of thanks and cheer to military members, veterans, and their families through the American Red Cross Holidays for Heroes campaign. Over the past 10 years, with the help of local communities, Holidays for Heroes has collected and distributed millions of holiday cards around the world. 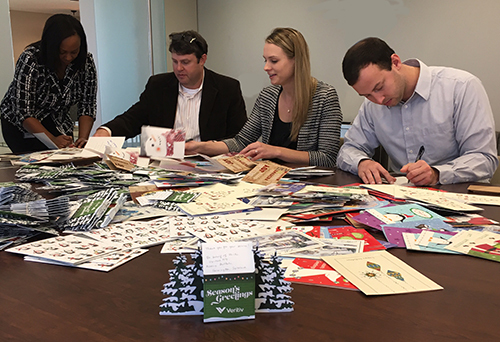 Veritiv employees from across the U.S. sent in more than 1,000 cards with holiday wishes and words of encouragement for active military members and veterans.